The International Monetary Fund on Friday approved the fourth installment of a $12 billion, three-year loan for Egypt, bringing the total released to date to just over $8 billion. 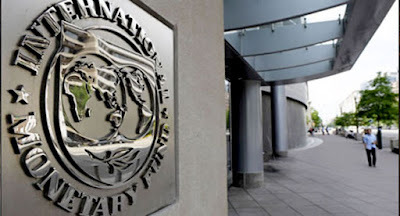 The IMF board approved the latest $2 billion disbursement under the aid deal signed in November 2016 to support Cairo’s economic reform program, which the Washington-based lender has repeatedly praised. Since then, Egypt has imposed harsh austerity measures and started to phase out subsidies on many goods and services, including this month’s move hiking fuel prices as much as 50 percent, and electricity rates by about 25 percent. Consumer prices have soared as the authorities floated Egypt’s currency and adopted a value-added tax. Meanwhile, a fiscal crisis caused the deficit to balloon to 12.5 percent of GDP in the 2015-2016 tax year. The government said the subsidy cuts are needed, and acknowledged they would lead to sharp increase in taxi fares. The IMF said Egypt is beginning to reap the benefits of the reforms, and estimates the economy will grow 5.2 percent this year. Inflation is expected to fall to 20 percent by the end of 2018 from 33 percent last year. Since the 2011 revolt toppled former president Hosni Mubarak, the economy of the Arab world’s most populous country has received multiple shocks caused by political instability and security issues.